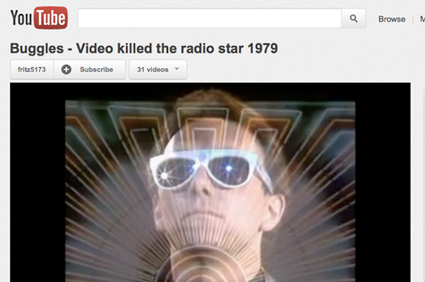 In 1981, MTV launched with its first music video, "Video Killed the Radio Star" by The Buggles. We're still not sure if the "radio star" ever really died, but 30 years later, the song holds up for different reasons. MTV had a good run in the '80s and most of the '90s, but with the spread of Napster and iTunes during the dot-com bubble, the tides turned. One might even say, "the MP3 killed the MTV star." Satellite and Internet radio took over the airwaves, however, video hosting sites such as YouTube, Hulu and Vimeo have become the new kings of all media. YouTube alone gets 3 billion views per day, with 800 million unique users per month. Expert sources say that video content will account for 90 percent of web traffic by 2015. So, why the brief history lesson? Well, because it's never too late to produce that video (that you've been procrastinating on)! Statistically, we’ve found that performers with video are up to four times more likely to get booked than those without. Videos are by far the best way to show off your talents to potential clients. If you're a GigMasters member, we recommend you upload all of your videos to your profile. Login to your Control Panel, click the Profile tab, then edit "MP3 Samples and/or Video Samples." We recently expanded file storage limits for all members--so you shouldn't have any issues fitting your content. Most file formats are accepted, including WMV, MOV, AVI, MPG, MP4, and FLV. If your videos are on YouTube, you can simply email us your video links and we'll transfer them for you. Be sure to specify the name you want displayed for the video, if it isn't readily apparent. Or if you'd rather convert it from YouTube yourself, we recommend the free (for now) website KeepVid. As a last resort, you can always email the video as an attachment to info@gigmasters.com, and we'd be happy to upload it for you.